Financing Your Future, Not Your Past. 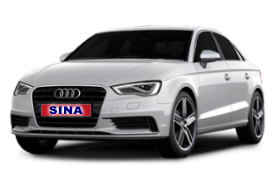 With your transportation needs and desires in mind, Sina Auto Sales has developed our capabilities to better serve you. Our reputation of honesty and reliability precedes us throughout all of the Baltimore area. If you have any questions or requests, our friendly staff is always standing by and ready to help in any way that they can. We are dedicated to excellence through providing you with outstanding customer service, top-quality selections, low competitive prices, guaranteed credit approval and your 100% satisfaction.